Bowtie Project. Los Angeles. June 13th, 2015. 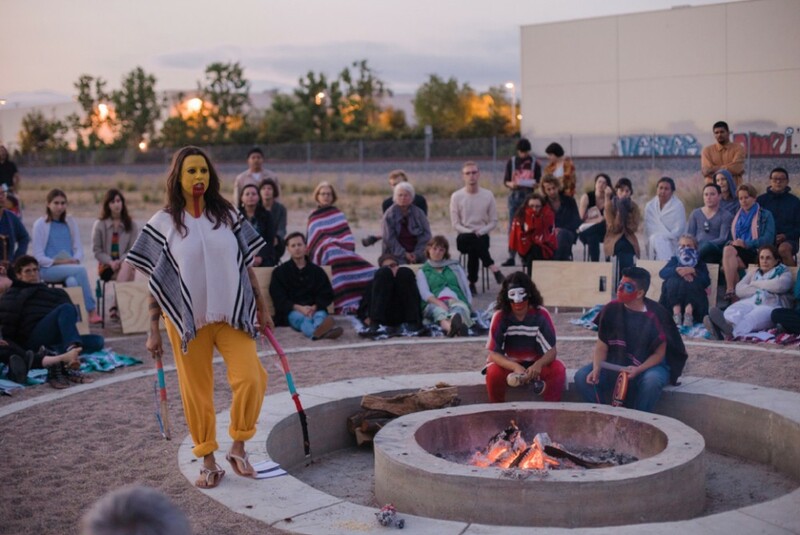 One Body of Water is a new performance by artist Carolina Caycedo, developed in response to the Bowtie Parcel. One Body of Water intertwines the stories of three contested rivers of the Americas: the Magdalena (Colombia), Yaqui (Mexico), and Elwha (Washington, US) rivers. 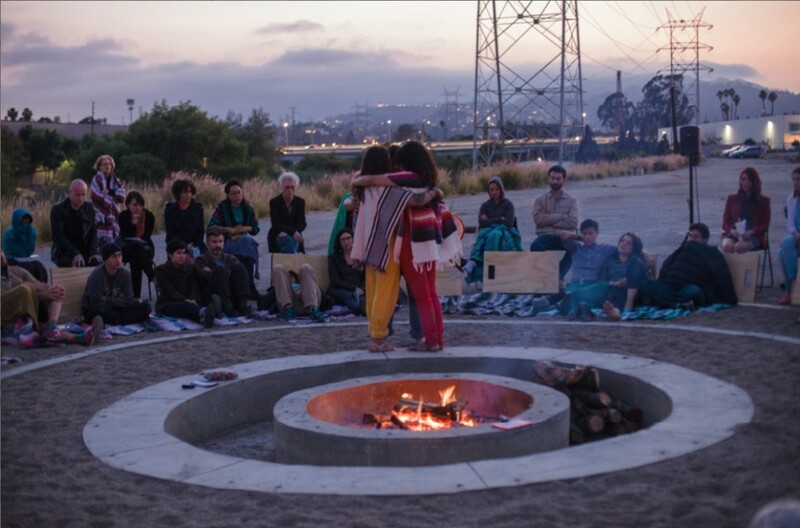 Resonating with indigenous oral traditions, Caycedo and her collaborators embody the voice of the rivers around a fire, inviting us to shift the way we think about nature, and how we interact with non-human bodies. 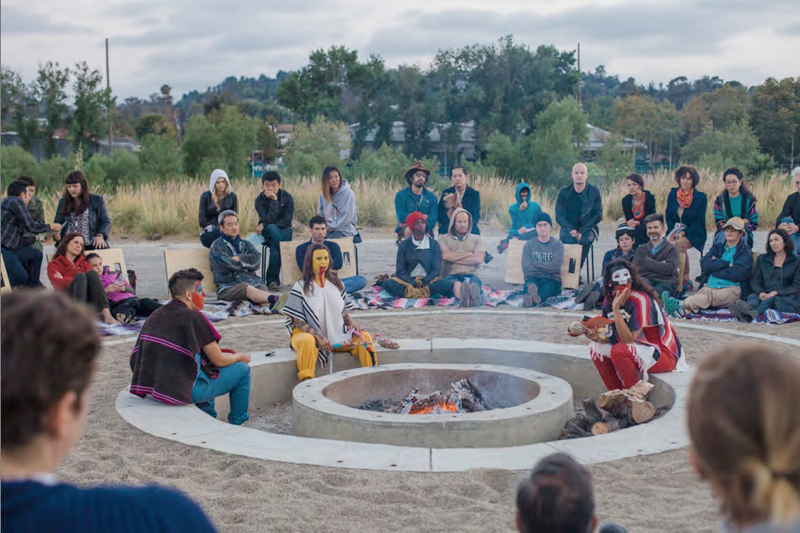 Performance opened with a blessing by the Gabrielino Tongva Tribe. Performers: Karen Anzoategui, Carolina Caycedo, Mireya Lucio. Images Courtesy of Clockshop. Photos Gina Clyne.